Planner Portfolio | TUDALIT e.V. At the 8th User Conference of the TUDALIT e.V., the original Planner Portfolio was presented as a tool for planning architects and engineers, executing companies and builders. It was printed in German, but due to public demand, we have translated the useful guide for you. 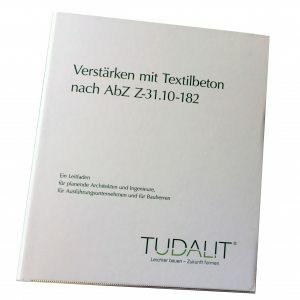 TUDAG, Technische Universität Dresden AG, is the owner of the TUDALIT® quality mark for textile construction applications in the construction industry. It acts on behalf of all Ordinary Members of the association TUDALIT e.V., in particular for the manufacturers of building material components and the construction companies, as an organizer and a requester of approvals. The present general building inspectorate approval no. 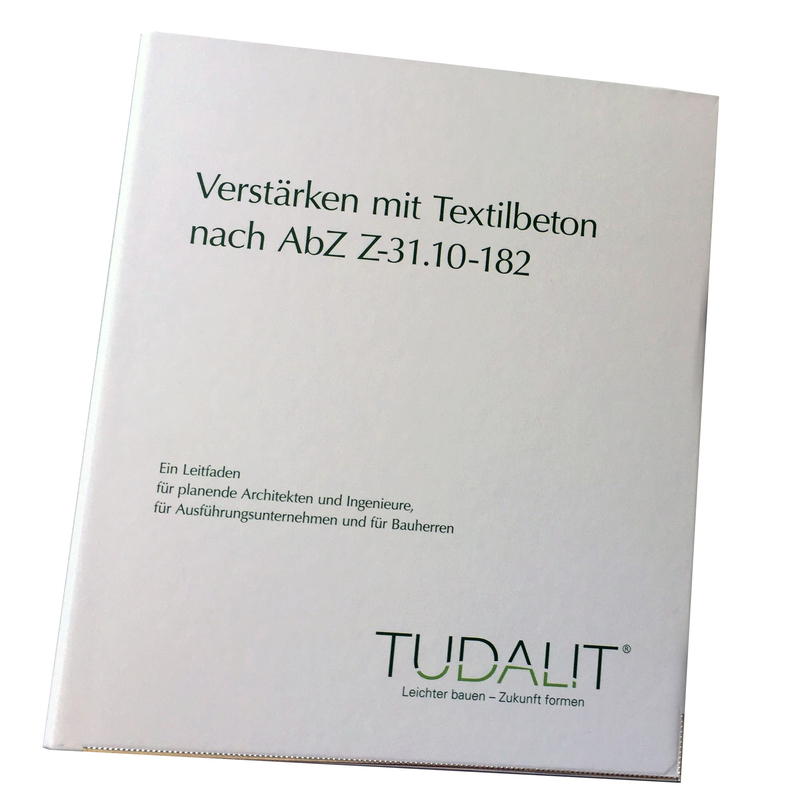 Z-31.10-182 „Process for the strengthening of reinforced concrete with TUDALIT (textile-reinforced concrete)“ is thus also an approval additionally assigned with the quality mark. This results in some peculiarities for their use by the construction companies. In the first section of the planner portfolio, all necessary information is given. This abZ is to be understood as an initial development and entry-level technology. Their award is the result of several years of unprecedented collaboration by TUDALIT members. We hope that the planner portfolio helps you to decide on suitable reinforced concrete bending reinforcement projects for the application of this new and fascinating technology. We are happy to receive your suggestions and suggestions for improving the planner portfolio. You can download the individual chapters or the entire planner folder in one file (latest version as on May 15, 2018).